So many events going on and so little time to blog about. 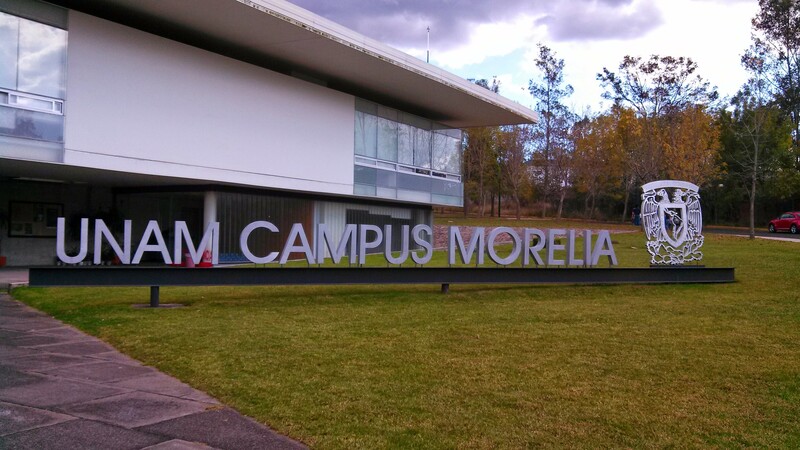 Two weeks ago, four members of this group traveled to Morelia in southern Mexico to present their research at the XIII Mexican Physical Chemistry Meeting. 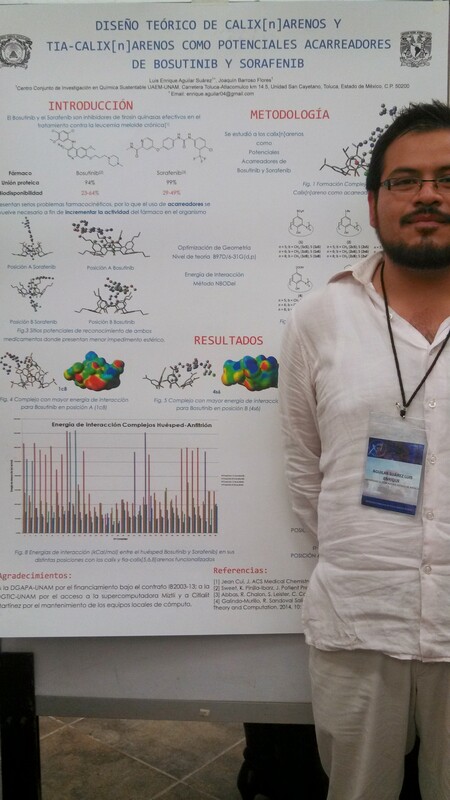 The next week after that, they all brought their posters back to Toluca for the internal symposium at CCIQS, where a masters student, María Eugenia, gave a small talk about her research project concerning photosynthesis in bacteria. Below, a short description of their projects is presented in order of seniority. Maru is working in photosynthesis of green sulfur bacteria. Her research deals with the excited states calculations at the Time Dependent DFT level for describing the first stages of photon interaction in antennae complexes of the photosystem II, namely the Fenna-Matthews-Olsen (FMO) complex, which was selected due to its relative structural simplicity over that of more evolved organisms. Maru also gave a talk at the internal Symposium back in Toluca the very next week where she got a positive feedback which will be used in her project. One of the many strategies out there for treatment of HIV-1 infections is to block those proteins used to anchor the virus to a healthy cell. Sort of getting the virus’ hands busy so they can’t attach to a host. 60+ new compounds derived from thiourea were screened and assessed in their interactions with protein GP120, the protein to which the attachment is made, through docking and DFT calculations. Lead compounds are reported. It must be stressed that Howard got an award at CCIQS for having one of the best posters out of 70 in the entire symposium. Kudos and thanks to you, Howard! We now have some MD simulations in order. His project has some nice philosophical implications if you ask me. Memo started as an experimental chemist and when he ran into a wall trying to obtain a pyridine from the non-aromatic analogue (glutarimide), he came to our group to run some calculations and find out how to force the aromatization process, or at least rationalize if it could be performed at all. Two mechanisms were proposed and now we know that even when the reaction should be quite exothermic, the reaction barriers are too high to be overcome by conventional methods. We now need to find a way to decrease those barriers (cue transition metal simulations). So in a way we are dealing here with the mechanism of a reaction that never happens (at least in an intramolecular way), leading to a reverse reductio ad absurdum reasoning – we assumed the reaction(s) did happen and we found out why is it impossible for them to happen. 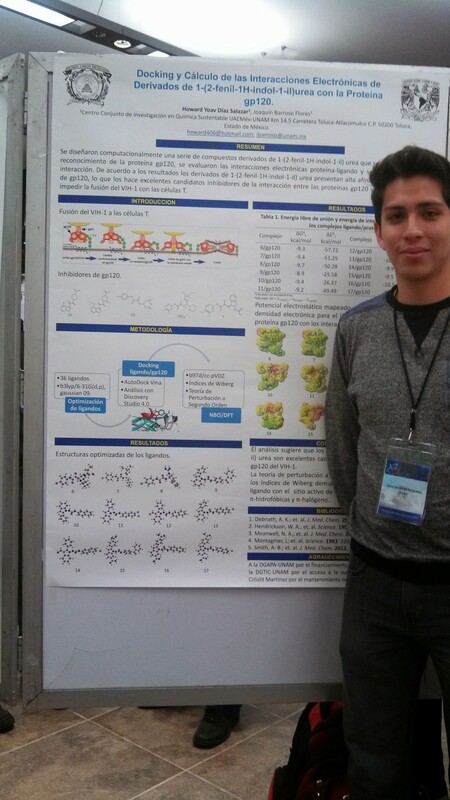 Luis continues to work with calix(n)arenes, this lab’s first love, in drug delivery systems. He is working with two drugs at once: Bosutinib and Sorafenib, second generation drugs for the treatment of Chronic Myeloid Leukemia in cases were resistance to Imatinib has been developed. One of his main goals is to find a calixarene system which is able to discriminate between Bosutinib and pseudo-bosutinib, a commercial isomer which has incorrectly been available for a few years now. reers and the advancement of our research group. Now back to work, guys! 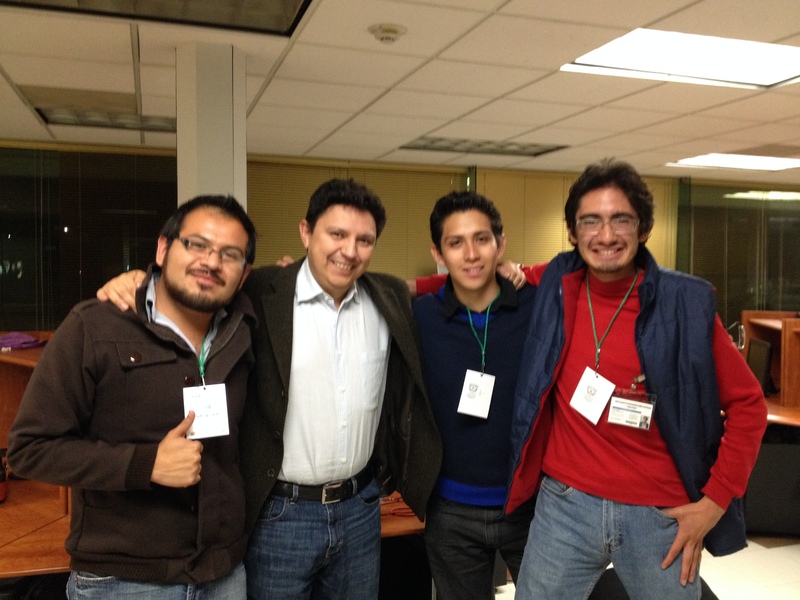 Posted on November 27, 2014, in Computational Chemistry, Drug Delivery, Molecular Dynamics, NBO, Photosysnthesis, Talks and tagged Computational Chemistry, IRC, Mechanisms, photosynthesis, QST2, QST3, Reaction Mechanisms, RMFQT, Talks, XIII Mexican Physical Chemistry Meeting. Bookmark the permalink. 1 Comment.